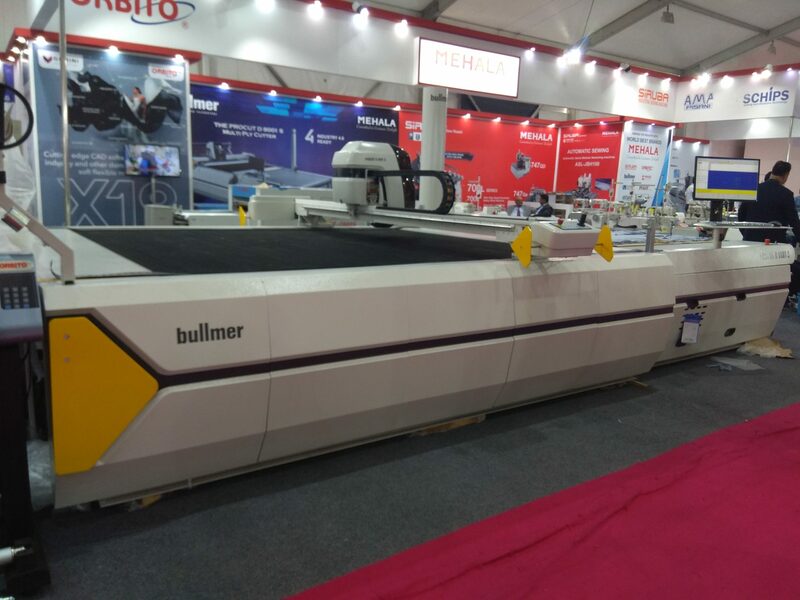 Bullmer cutting room technology exhibits their latest powerful cutting product D8001S and the High-Ply Cutter E80 at Garment Technology Expo 2019 with their sole distributor of India, Mehala Machines India Ltd.
Bullmer machines stand for trendsetting manufacturing solutions that achieve the highest levels of efficiency and productivity. With research and development, Bullmer has installed automated machinery for material handling and material flow as well as automatic cutting solutions for the textile and flat material processing industry worldwide for more than 80 years. The E80 is an economic cutting room technology operated with PROCUT Auto Cutter, designed for Mass Production. The machine increases cutting efficiency, reduces the number of labourer in the cutting room; Moreover, with higher quality of cutting pieces, the afterwards sewing efficiency is enhanced by 5%, compared with the manual cutting. The PROCUT D8001S is a higher edition and features availability in cutting heights of 50mm or 80mm (compressed) depending on type of material. Other additional features of this product include cutting by means of a vertically oscillation knife, length of cutting-window being approx; 1.800mm/2.500mm/3.000mm and the length of clearing zone be approx; 1.850mm/2.300mm/3.000mm.